I was doing minor things on the web last night and was sad to learn of the passing of P.D. James she passed away on Thursday. While we were celebrating Thanksgiving she was passing on to her next life. 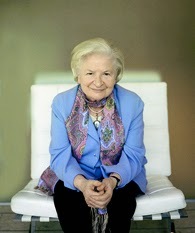 She is a great writer dubbed the Queen of Crime a fitting title. So sad. I hope everyone will take the time to check out her books. It's always sad when learning of writers that have passed on and I think this one is sad as well. While their books live on we won't experience anymore books by her. I think that makes it bittersweet. Have any of you read her books? If so which would you recommend? Feel free to join in the discussion in the comments. Ho Ho Homicide The Christmas rush is on as Brandy Borne and her quaintly quirky mother, Vivian, sniff out plum collectibles for resale, only to find the owner of a Santa's workshop worth of treasures has received some deadly tidings. It's beginning to look a lot like murder...but who wanted the deceased closed for the holidays-permanently? Maybe a rival antiques dealer, a Grinch who collects Christmas? Or the victim's suspiciously frosty stepchildren? Brandy and Vivian check their list of who's been naughty or nice, but it may take a Christmas miracle-and some help from Sushi, their elfin shih tzu-to tie a bow around the season's most wanted killer! 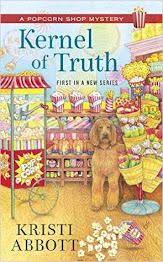 This was a cute little novella in the Trash 'n' Treasure series that follows Brandy Borne, her mother Vivian and her dog Sushi. When the three decide to go visit a man in town who is getting rid of his extensive Christmas decoration collection Vivian decides that they need to scoop out the goods to help their shop. What they didn't count on was uncovering a mystery. 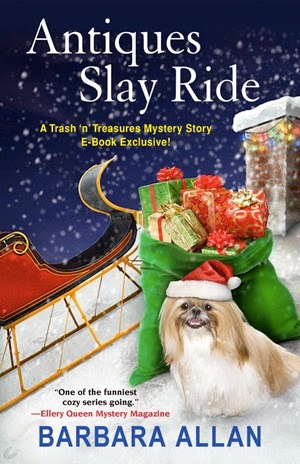 When the owner is found dead in his sleigh it's up to Vivian and Brandy to figure out who had the most to kill and why. This leads them to the step-children who seem to be clueless idiots in this book and also leads them to Lyle Humphrey another collector of antiques. I enjoyed this cute little Christmas story I especially enjoyed the back and forth between mother and daughter I found myself laughing at times at their banter! Such a great story definitely puts you in the festive spirit. 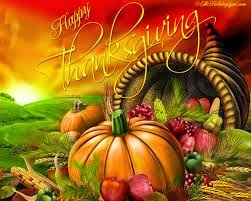 We at Community Bookstop just wanted to take the time to wish all our American publishers, Authors, Followers, etc a warm and blessed Thanksgiving holiday. We are so glad you take the time to work with us and share your books with us. We look forward to working with you for many years to come! 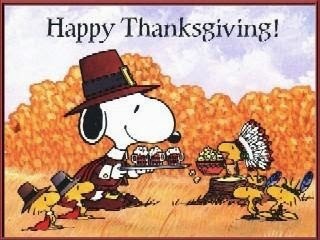 Feel free to share all those Thanksgiving traditions you utilize in our house it's pretty traditional we watch the Thanksgiving Day Parade, then cartoons for the kids and have Turkey, stuffing, potatoes, biscuits, cranberry sauce and veggies. This year we also add hot Apple Cider to our mix! When 6 year old Mary Noel has a car accident and watches her precious dog die in front of her eyes she shuts down and shuts the world out Amber and a man she met while visiting Mary Noel take it upon themselves to work a miracle and try to work on a festival for Mary Noel and their family. Alot of people come together to provide a Christmas miracle for Mary Noel and her parents. As Paul and Amber's relationship continues to flourish as time passes. The more time that passes the stronger their connection gets which also surprises both couples who are new to love. I really enjoyed this story about love and faith and doing something for others that need it. It was beautifully written and well told story. This was a cute novella where Ali and B. Simpson are getting ready to get married. They are in Las Vegas with Ali's family and their friends when B takes his soon to be grandkids shopping they come back with more than presents. B is carrying a dog a mini-dachshund who was thrown into the street which brought Ali's grandson rescuing the dog. 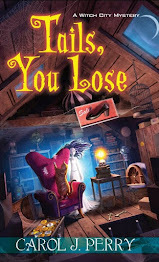 As B. and Ali try to track down the previous owner they learn something things about the precious dog named Bella who was cared for until recently. The woman who owned her got sick and the son didn't seem to like Bella and ditched her on the road. What are B. and Ali to do but find out what they can and see if her owner still wanted her. As the days pass the relationship between B., Bella, and Ali grows stronger as Bella wiggles her way into their heart. 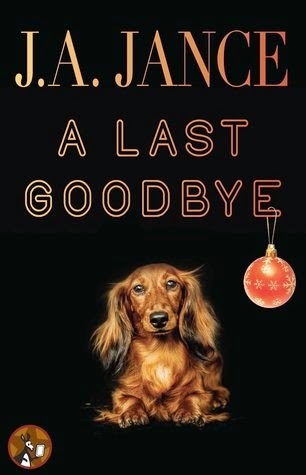 I enjoyed this little novella which brought a dog into the mix. I loved how Ali and B. did try to do the right thing by locating the owner and was glad it worked out in the end! My first meeting with Chilean author Isabel Allende was with The House of the Spirits. The reason why I found out about her in the first place is because I'm always in the search for authors following Marquez's footsteps in "magical realism." Allende lived up to my expectations and The House of the Spirits was an amazing journey for me. Salvador Allende's granddaughter Isabel Allende really captures you by adding in her observations and imagination to her already interesting life. Having said that, would I want to do all this with Maya, though? Nope. Honestly, I believe Maya is Allende's way of showing the reader how she thinks today's youth lives in a bubble and how they lose themselves if that bubble is popped somehow. 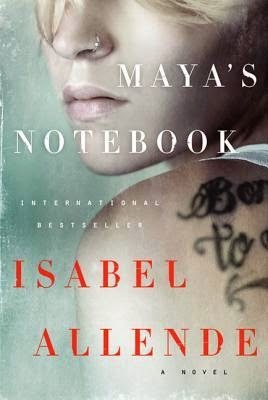 Maya's Chilean grandmother's past is as turbulent as the country's. However, Maya had the luxury of growing up with her grandmother and grandfather in Berkeley. After her grandfather passes away, she loses herself in drugs and alcohol, also getting involved with a gang leader and starting to work for him. Her grandmother, in her best attempt at protecting her from the people after her (which include the FBI, by the way) sends her away to Chiloe Island to stay with an old friend. If you ask me which character I liked the most, I'll have to say nobody except the island locals. However, like I've mentioned before, Chiloe Island is so powerful, so magical that this book is worth reading even if just to experience that. On the internet, we can be anyone we choose. No one knows who we really are. Sheltered and obsessive, Leila spends more time online than out in the real world. So she seems the ideal person to take over the virtual identity of the vivacious and fragile Tess, who wants to disappear. But even with all the facts at her fingertips, there are things that Leila can’t possibly know about Tess – or herself – until it is too late . . I was rather intrigued by this book, probably because it came right after I was done with Talking Back to Facebook, which led me to constantly think about internet and social media's roles in our lives. I am a person who is very much addicted to the internet, to the point where I freak out if I don't have an internet connection. The main character of the book, Leila, on the other hand, has taken this addiction to a whole different, uncomfortable level. I don't remember whom Kiss Me First was recommended to me by. And, I must admit, I almost wasn't going to bother with it when I saw it being compared to Gone Girl, which I didn't really enjoy. But the fact that it handled internet addiction and was targeted toward young adults grabbed my attention anyway. Leila is a young girl who starts making money on the internet (not in an illegal way or anything before your mind wonders off) after her mother's death. While she's not playing World of Warcraft online, she's hanging out in forums, which is something I too did a lot in my teens. Her forum of choice is one called Red Pill, and he manages to get the founder Adrian's attention with her smart comments and attitude toward life. This is how she comes to accepts a job he has for her: continuing a women called Tess's internet presence after she kills herself. Adrian thinks that everyone has the right to do whatever they want with their bodies. People he finds, people like Leila, are hired to "help" those who want to do just that by committing suicide. As a person who's lost loved ones to suicide, I have to believe that there is a good reason for them to choose to do that. What I don't understand is what they might gain from having someone impersonate them on the internet to help them "fade away." Just think about it: you think your close friend has moved to another country. You e-mail each other everyday, message on Facebook and keep up with each other's lives. However, that friend is already dead and the person you think she is is a stranger who supposedly has enough knowledge to keep up the act. If this isn't disturbing beyond words, then what is it? There is also Leila's character development, which leads to her actually wanting the life that Tess lost, even almost wanting to be Tess. She gets to wrapped up in this that when an old fling of Tess's gets in touch with her, Leila is sure he is actually falling in love with her, and not Tess. This was very disturbing for me as well, but I guess it is expected from a young girl who knows nothing about real life except for what she reads about it online. Kiss Me First has made me realize once again just how dangerous the internet can be and how everyone should really be more educated about it. In this book which is the fifth in the series Nina Bannister is trying her hand at painting. 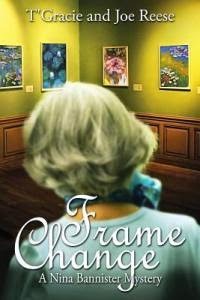 In this book we also meet Carol Walker who is a docent at the Chicago Art Museum but that doesn't last long as Carol made a few little mistakes and her boss uses this to fire the young girl. Nina and Margot hire her to come to their town and show off her work. The two also find out what happened in Chicago. They offer her a job to work with them to keep her working and not drifting with no money. Not long afterwards Carol realizes she is going to have to Michael up on his job of Art Smuggling but not all goes according to plan and soon Nina has to rescue her young friend after she is kidnapped. This book is a great cozy mystery filled with all sorts of mystery and adventure. 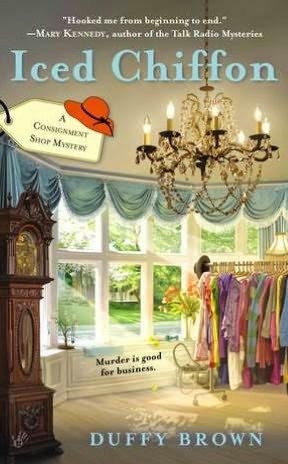 This book is great for anyone who loves cozy mysteries filled with intrigue and suspense. Can't wait to see what Nina does in her next book! Quickly. Completely. Unexpectedly. Derrick Knolane escapes to Trinidad Head most evenings, avoiding his apartment and planning for the day he'll break free of Humboldt County. Working in a music store might be fine for a while, but it's far from the goal he had in mind when he got his college degree. Not to mention the fact that his roommate is a jerk and his family won't stop trying to run his life. Then Brielle falls into his world. She claims to be a star. Not from Hollywood, but from heaven. He thinks she's crazy. Certainly delusional. Yet, he can't just leave her alone on the cliffs. So he takes her home. And his whole world falls apart. 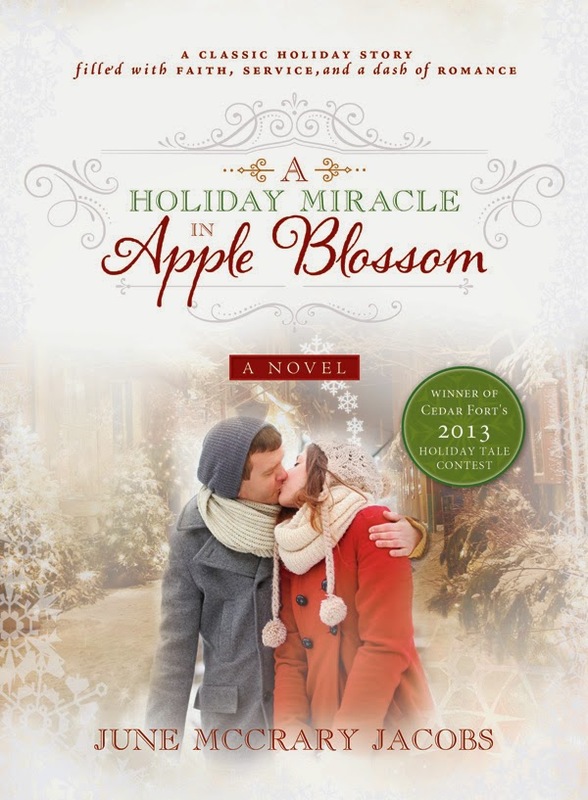 A heartfelt and fanciful contemporary romance novella, How a Star Falls explores the uncertain season of new adulthood and shows that sometimes the worst inconveniences make for the best miracles of all. "Though not typically a reader of contemporary fiction, I found How a Star Falls to be a wonderfully told story of both sweet romance and coming to terms with the fact that even though life doesn't always turn out exactly as we dreamed it would, even our undesirable circumstances can lead to a bright future." - Jaye L. Knight, author of Ilyon Chronicles. $50 Amazon Gift Card or Paypal Cash Ends 12/16/14 Open only to those who can legally enter, receive and use an Amazon.com Gift Code or Paypal Cash. Winning Entry will be verified prior to prize being awarded. No purchase necessary. You must be 18 or older to enter or have your parent enter for you. The winner will be chosen by rafflecopter and announced here as well as emailed and will have 48 hours to respond or a new winner will be chosen. This giveaway is in no way associated with Facebook, Twitter, Rafflecopter or any other entity unless otherwise specified. The number of eligible entries received determines the odds of winning. Giveaway was organized by Kathy from I Am A Reader and sponsored by the author. VOID WHERE PROHIBITED BY LAW. New Orleans novelist Steven Wells Hicks recently published his latest novel Destiny’s Anvil: A Tale of Politics, Payback & Pigs. is coin of the realm, Destiny’s Anvil is at once a sharp-eyed examination of the seamy underside of America’s elections and a freewheeling yarn in the grand Southern tradition. Guidry rides Tucker’s political horse sense into the office of Louisiana’s Attorney General, while Tucker capitalizes on Guidry’s victory to bolster his own political reputation. But what should become a powerful alliance deteriorates into a bitter feud when Guidry tries to flex his political muscle and Tucker suspects he may have maneuvered a calculating sociopath into the marble halls of power. Caught in the crossfire is Carter, the story’s narrator. Devastated by betrayal at the hands of his brother and the woman he loved for a lifetime, a brooding Carter remains content to watch the power struggle between Tucker and Guidry from the sidelines. Everything changes when he stumbles on the charismatic attorney general committing a monstrous crime, and finds himself drawn into the vortex of his brother’s private war. Racing from a bungled execution through ruthless political payback and a no-holds-barred courtroom showdown, before culminating in a bloodbath by the side of a bayou, the stakes continue to rise and Carter finds his small-town naiveté peeling away. Replacing it is a mounting dread of what will happen when the hammer of Fate meets destiny’s anvil. To not know who Malala is, you must be living under a rock or somewhere very much abandoned with no contact to anyone or anything to the outside world. She is a girl from Pakistan who was shot in the head by the Taliban on her way to school when she was 15. Her fault? Wanting to go to school, learn and working to make sure all girls have this right. This book follows Reagan Summerside newly divorced who is selling off her fancy clothes from when she was married so that she can keep her home. Her house is definitely a fixer upper. Not long into this Reagan 'borrows' her ex-husband's Lexus to deliver a fountain to a buyer when she finds her ex's new fiancé in the car trunk. Of course this lands Reagan's ex-husband in jail for having motive to kill his fiancé when the couple were scene the night before arguing. Who had the most to gain by Janelle's death? Was it Hollis Reagan's ex? Or was it Reverend Franklin who won't talk about Janelle? Or was it the woman who had been scorned previously when Janelle stole her husband away? So many suspects for Reagan to sift through to find out who had it out for Janelle the man stealer! Someone is hot Reagan's tale and has tried to kill her dog Bruce Willis more commonly known as BW. Also they broke into Reagan's house meanwhile people in town are placing bets on who will find the killer and alot of people are betting that Reagan will find the killer. In this book we watching Kiki and Reagan take all sorts of wrong turns question residents who've been blackmailed to death by Janelle all the while all of them seem to have a motive albeit not a good motive for the murder. So who had the crappiest motive that could be poked like a balloon with a needle? This book was great especially the go between with Reagan and Boone the lawyer representing Reagan's ex when he is arrested. It's an interesting go between going on. I also enjoyed reading everything Kiki and Reagan did to try to find out the murderer. The ending was very surprising. I loved it! A young man sits on an airplane next to a passenger claiming to be a psychic to a world-renowned television personality and flies all over the world giving readings to that celebrity. The young man tells his mother about meeting the psychic on his trip, and for a couple of years, the mother mulls over what might a famous celebrity ask a psychic. What would a super-rich Wall Streeter ask? Or a politician? In answering those questions, that young man’s mother, Alana Cash, wrote a book called Saints in the Shadows. The protagonist in the book, Maud, has lost her father in a sudden accident and the grief she and her mother feel drives them apart. There’s a mystery too – what happened to her father’s trumpet in the crash. No one has found it. Maud heads for New York, and there she meets Lina Sandor aka Madame Budska, psychic to the elite of New York City. After a few months acquaintance, Lina asks Maud to take over the Madame Budska business and trains her to really listen and really see with a depth that most people don’t attain. Maud has an ability of her own – she dreams, and in her dreams, she learns things that she didn’t learn in her waking hours. Combine her dreaming ability and super observation skills and Maud learns things about Lina’s clients that are sad and a bit creepy. But it’s one frightening dream that leads Maud to a resolution of her grief about her father’s death. Multiple award-winning author and filmmaker Alana Cash is an adventurer. She’s trekked alone in war-torn Serbia and slept in a KGB interrogation room in Prague. She’s been to a gypsy fair in England, a bullfight in Laredo, and parasailing in Acapulco. She wore a bulletproof vest on a ride-along in an NYPD patrol car, and she’s kissed a man inside the Norman Bates Psyco house at Universal Studios. 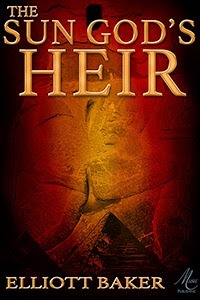 Today I had the pleasure of Interviewing Elliot Baker author of The Sun God's Heir. If you haven't had a chance to check out you really should! When an ancient evil awakens, one young pacifist is all that stands between the world’s freedom and the red tide of slavery. In 17th century France, a young pacifist kills to protect the woman he loves, unwittingly opening a door for the reincarnation of an ancient Egyptian general determined to continue a reign of terror begun three thousand years ago. Taking up the sword will not be enough. Rene must reclaim his own ancient past to stop the red tide of slavery from engulfing the world. Joined by a powerful sheikh, his sword wielding daughter, and a family of Maranos escaping the Spanish Inquisition, they fight their way through pirates, typhoons, and dark assassins to reach Morocco, the home of an occult sect that has waited for Rene through the eons. 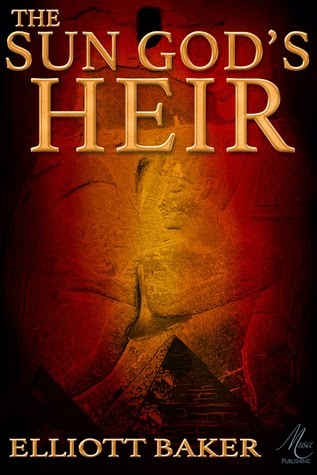 The Sun God’s Heir is an historical adventure with strains of fantasy. Although, I’m sure there are many books that fall cleanly and clearly into one genre or another, genre can be restricting. The book is set in the late seventeenth century when the sword was still a primary weapon and women were thick in the fight for identity and power. There were real people making real mistakes. I tend to see everything with a little bit of magic, so it couldn’t be completely absent from any story I tell. Can you tell us what brought you to writing your genre? From the time I was introduced to story, I’ve been enthralled by “What happens next?.” Every moment is truly an adventure if we look out at our realities from that question. The more excitement we can generate, negative or positive, the more meaning we tease from each moment. I’ve always found the stories of our past fascinating. It’s been said that reality is stranger than fiction, and truth be told, as a species, we have managed to get ourselves into some tight spots. I’ve always wanted to fly. By that, I mean personally. For me fantastical elements are always metaphors for the power of flight. I’ve also found that by grounding fantasy (fiction) within a framework of accurate history the real lends power to the imagined. Who influences your writing? Do you have favorite authors? All of them. Everyone I’ve ever encountered has told me at least a snippet of their story. Of writers, I love Ursula LeGuinn, David Weber, Orson Scott Card, John Nelson, James Michener, Richard Bach, Ann McCaffrey… Talk about an endless road. Just thinking of the wonderful stories of these people has brought a smile to my face, and I am grateful for the question. Those that grant me the boon of transport. To be gifted with moments completely outside of my normal reality is fun. To come back to the room, the day, the book after having experienced the excitement, fear, pain, love and endless emotions of the story is one of the most gratifying things to experience. I know that your question was really what genres do I enjoy the most. In a shorter winded answer to that question, I love Historical Fantasy (big surprise there), science fiction, spy stories, especially where they travel the globe, and inspirational works, when they give me concepts that resonate with me. I read, listen to music, research, and with my wife, Sally, enjoy living in New England.. We spend time with friends, exploring craft fairs (Sally makes huge mosaics), watch our children making their own stories, and in general do our best to move through this lifetime as gently as possible. If you were stranded on an island only allowed to bring three things what would they be? Well, although I love the sun and the ocean, by myself, my efforts would be directed toward either bringing others to my beautiful new island, or getting rescued. I’d cheat and bring a solar charged sat phone, fishing gear and a lighter. If there was no fuel or water, I’m pretty screwed no matter what else I bring. Now, if I can do this with my wife, Sally, we’re talkin’ Treasure Island, and I’m already in that story. 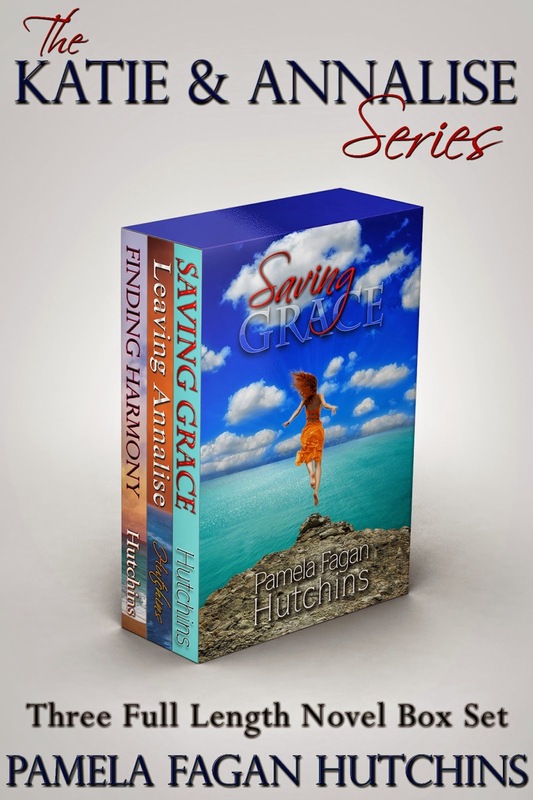 romantic mystery series, Katie & Annalise, which includes Saving Grace (#1, 4.5-stars and over 770-reviews), Leaving Annalise (#2, 4.7-stars and over 190+-reviews), and Finding Harmony (#3, 4.9-stars and over 130+ reviews). Her new romantic mystery is Going for Kona (4.8-stars, 25 reviews) which came out October 1, 2014. 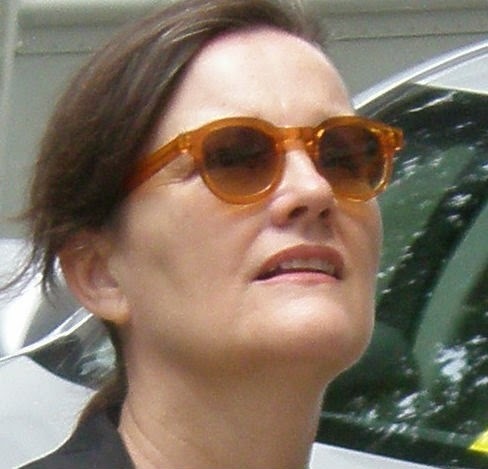 She also writes hilarious nonfiction. Pamela’s romantic mysteries have racked up a number of accolades including a 2014 Amazon Breakthrough Novel Award, Romance, Quarter-finalist nod; 2011 Winner of the Houston Writers Guild Mainstream Novel Contest; 2010 Winner of the Writers League of Texas Romance Contest; and 2012 Winner of the Houston Writers Guild Ghost Story Contest. The reviews from readers and critics are fantastic. 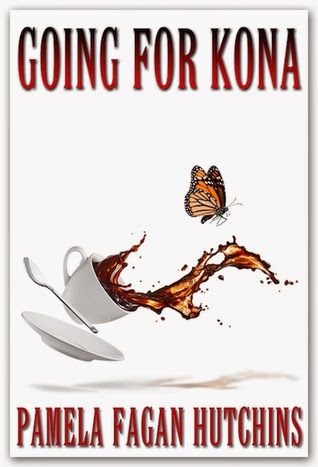 Pamela Fagan Hutchins combines humor, romance, mystery, and magical realism in her new release, Going for Kona, the first book in her Michele series, as well as in her Katie & Annalise series novels. 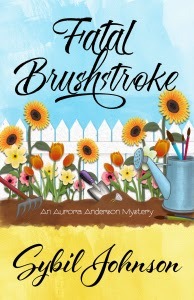 Drawing rave reviews for humor, emotional depth, and twisting, fast-paced plots, readers and critics alike love her romantic mysteries, and Once Upon A Romance Calls Pamela an "up and coming powerhouse writer." Her books are available in audio, ebook, and paperback, and you can get them just about anywhere. • What genre is your book? If you had to describe your book Twitter syle (140 characters or less), what would you say? Going for Kona is a romantic mystery. Here’s my Twitter pitch: Michele wants to burrow into bed when her husband is killed, but she must compete in the Kona Ironman Triathlon in his honor and keep her family from meeting his same fate. • What types of books do you like to read? I love the larger-than-life characters of Larry McMurtry, the emotion and descriptive excess of Pat Conroy, the psychological intensity of Ruth Rendell, and the hilarity of Janet Evanovich. And then there is just this incredible list of mystery/thriller authors that’s too long for publication, but let me give it a shot: P.D. James, Elizabeth George, Sara Paretsky, John Sanford, Tami Hoag, Sue Grafton, Mary Higgins Clark, etc.etc. etc. My goodness. I love them all. • Who influences your writing? Do you have favorite authors? The biggest influence that Ms. Rendell had on me was that she wasn’t afraid to go weird, she dared to dabble with magical realism, and that she didn’t stick to hard-boiled detectives as protagonists. I loved her ability to transport me, and I especially loved that her mysteries carried themes. Many popular mystery writers give up theme for plot. However, I would add that Lisa Scottoline did the same for me, and added depth of characterization and humor. I didn’t plan to become a novelist, or a triathlete for that matter. I like my Kona in a coffee cup, with vanilla stevia drops and no-sugar-added coconut almond milk, to be exact. I barely even knew Kona as the name of the triathlon world championships until ten years ago, when I said “I do” to my husband Eric. And that is how it came to pass that one year later, while in training for our first marathon, I did a Half Ironman triathlon. It turned out, by the way, that a Half Ironman is way harder than a marathon, but I didn’t know that at the time. (They say ignorance is bliss!) It was then that the Kona triathlon, which is on the Hawaiian island of Kona—became important to me. It’s a full Ironman: a 2.4-mile swim followed by a 112-mile bicycle ride, capped with a full 26.2-mile marathon run. Yegads! I’ll bet you can guess that a Half Ironman is exactly half of that, too. My husband wants us to a full Ironman together someday, which I wrote about in a mostly funny but sort of inspirational book called Hot Flashes and Half Ironmans. First I had to write a novel, though. So, six months after my intro to Half Ironmans, I wrote a silly novella about a woman named Katie and a jumbie house named Annalise for Eric while he was on a work trip to India. (Yes, it was the start of the Katie & Annalise series, for those of you in the know about my books.) I thought that would “count” and that we could put the scary novel thing to bed. It didn’t. Not for him or for me. In November of that year I signed up for NaNoWriMo—National Novel Writing Month—which is a “contest" to write a 50,000-word novel in 30 days held each November. I highly recommend. So that November 1 rolled around and I had no idea what to write about. Then inspiration struck. Eric and I had just finished a long run (we were training for an ultra-marathon) sandwiched in between events at our two daughters’ swim meet. Some insignificant thing he said or did set me off, and I drove home early and alone, spitting mad. Note to self: adrenaline is not always your friend. Somewhere between the Fort Bend Natatorium and our home in Meyerland, I realized I was being a pill. I loved this man who treated me like a queen, and God forbid something would happen to one of us and the other’s last memory would be that I was shrew. What if a stalkery old girlfriend had been hunting him down for years, and found him today, derringer in hand? What if he got lost, as he is prone to do, and ended up in the crossfire of drug deal gone bad? Or what if he was kidnapped and forced to work for terrorists in Siberia who needed the specialized knowledge he had about refineries in Libya? A devastating despair came over me, and I knew what I had to write. As soon as I got home, I started typing Going for Kona, the story of a couple training for the Kona Ironman. When tragedy strikes, it’s not a random act but murder, and the protagonist, Michele, must overcome grief and every other damn thing life throws at her to protect what she has left: her son Sam and stepdaughter Annabelle. Yet Michele doesn’t get mired in gloom; she literally draws strength from the spirit of her dead husband and her alter ego, a warrior butterfly, and she digs deep to rise above. It’s a romantic mystery inspired by the years I’ve spent training with my own husband for triathlon and my feelings for him. The plot is pure frenzied, make-believe fun, and readers have told me they laughed as much as they cried and never saw the ending coming. Now, I like my Kona in a fast-paced mystery, and I think you will, too. But it’s even better read with a cuppa. • If you were stranded on an island only allowed to bring three things what would they be? Eric, my one-eyed Boston terrier Petey, and an iPhone with satellite coverage and a forever battery. • What do you like to do when you’re not writing? When I’m not writing, I love to travel with my husband. In the summer of 2014, we took our RV—dubbed the Bookmobile—on a book tour in 17 states. We took a month to do it, and we picked the prettiest places we could drive to in that time frame, staying as close to state and national parks as we could, so that we had easy access to hiking and mountain biking. Our route covered the Grand Canyon, Bryce Canyon National Park, Zion National Park, Crater Lake, Astoria, Mount Ranier, Mount Hood, Bellingham, Couer d’Alene, Buffalo Wyoming, Grand Rapids, and Otter Tail Lake, MN. Wow. And for a complete change of pace we are going to Bora Bora and staying in a little thatched hut over the water for our anniversary! I love to hear from readers, so feel free to drop me a note via any of my social media links, and I’ve been known to Skype or meet face to face with book clubs, so don’t hesitate to ask. 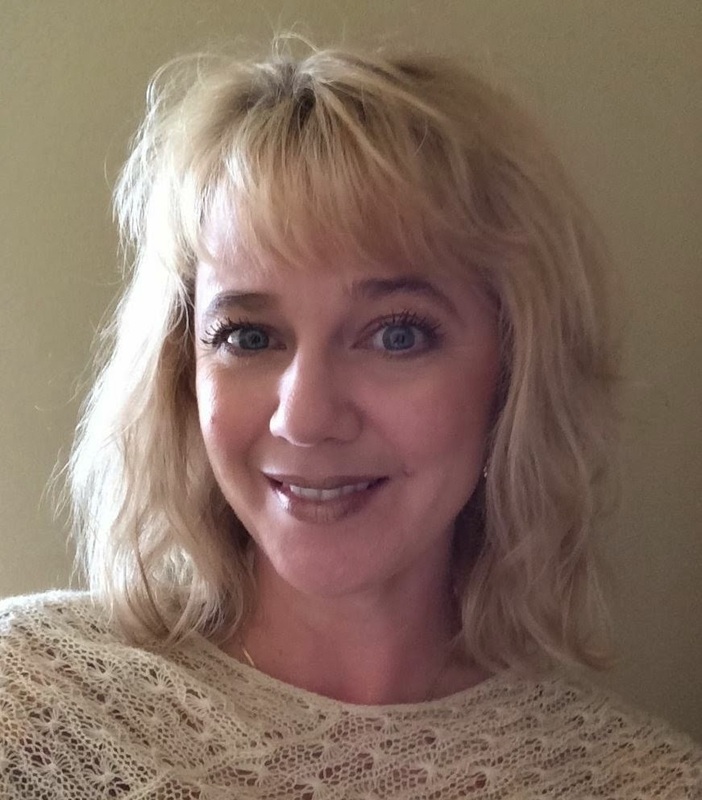 Thank you, Sarah, for hosting my interview on Workaday Reads. I really appreciated this opportunity to connect with your readers. 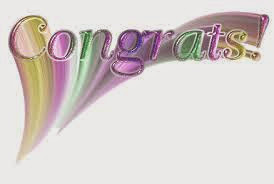 Thank you Pamela for taking the time out of your busy schedule to visit our site today and good luck with your many novels we wish you nothing but success! I can't wait for the second book of the trilogy to see what they encounter next! The characters are vivid and lovable, and the story drew me in from page one. Elliott Barry Baker was born in Jacksonville, Florida, attended Wolfson High School and then went on to bump into as many different things as he could. From St. Petersburg Junior college to the University of Missouri, finally graduating from Jacksonville University, he managed a B.A. in history. 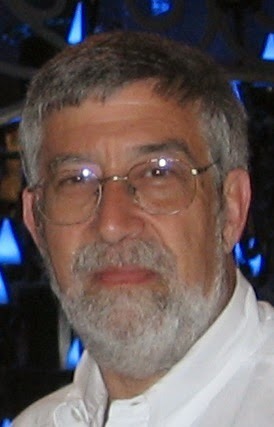 He’s worked as a swimming instructor in the Catskills, in an import business, on a kibbutz in the Golan Heights during the 1973 war, as an EKG technician, a sandwich shop owner, a hypnotherapist, and in various retail management positions until he started and ran a small five store costume jewelry chain for fifteen years. In 1992 he had the pleasure of seeing Gershwin’s show Crazy For You in New York City while attending a merchandise show. Sitting in the front row when the orchestra began the overture he had an epiphany. Nowhere was he more excited than seated in a theatre before the start of a show. Didn’t matter if it was the third grade chorus, although those could sometimes be difficult for a musician. He came home and asked his wife, Sally, if he could sell the company and write music. They had three children ages five, thirteen, and sixteen. His argument was that they had two years before the kids began to hit college and because he had talent, he was sure that he’d be making money long before then. There needs to be a pause here for those of you in the business of art, to groan. Fortunately for him, his wife has supported every endeavor he’s made both emotionally and financially. It never happens as fast as you wish, but the universe somehow conspired to allow him to continue and all three kids graduated from college with honors. Taking every course the local university offered on playwriting and musical theatre was a start. He wrote the music for his first show there. Elliott was accepted into the BMI / Lehman Engel Musical Theater Workshop in 1996. For the next four years he drove into New York City from New Hampshire every Monday for the evening workshop. He got the summers off. Elliott has written the book, music and lyrics for six musicals, one of which was adapted into a play. Four musicals and the play have been published by Dramatic Publishing and Eldridge Publishing and have been produced all over the United States and in New Zealand, Portugal, England, and Canada. All of his shows have seen production. “But wait,” said the TV announcer cheerfully slicing carrots. Elliott realized, that for him, crafting the story was the most fun and so thanks to a friend, he joined the NaNoWriMo throng in 2006. It was an amazing experience which he recommends to everyone. He hopes you enjoy The Sun God’s Heir. 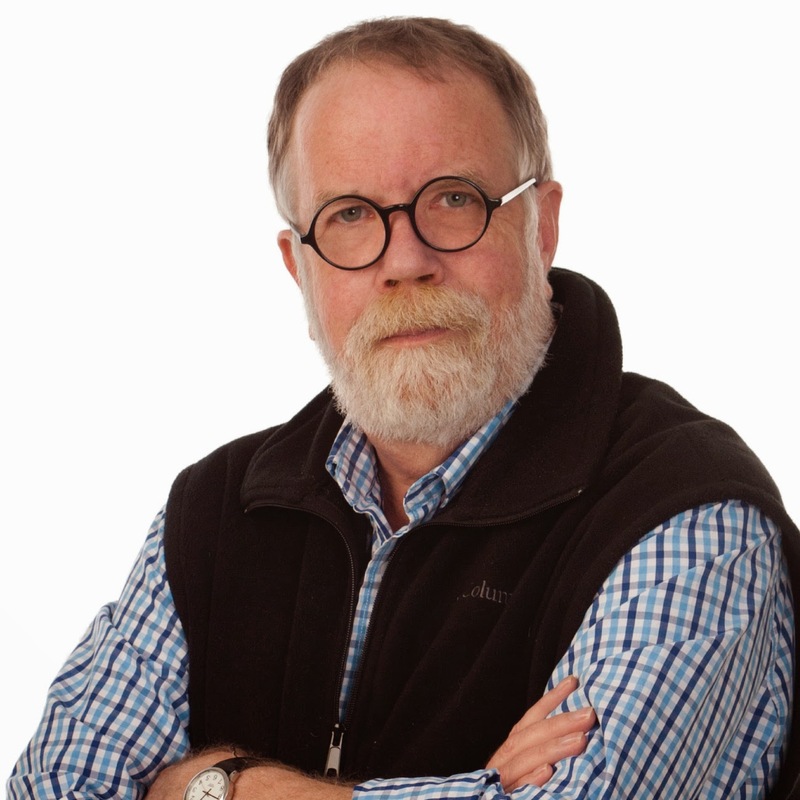 A member of The Authors Guild, and The Dramatists Guild, Elliott lives in New Hampshire with his wife Sally and they are excitedly awaiting the arrival of more grandchildren. 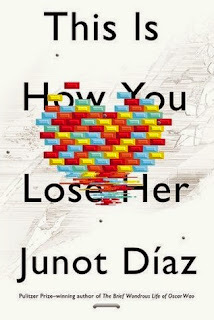 My first thought right after finishing the book: Junot Díaz is a very funny guy who forms very good sentences! I'm always on the lookout for new authors to discover and have a good time with. I bought this book at the book fair in Istanbul last year just because it was on sale: I had no idea who the author was or what the book was about. It took me a while to get to reading it, but it did come at a time when I really needed something funny and clever to merge into. 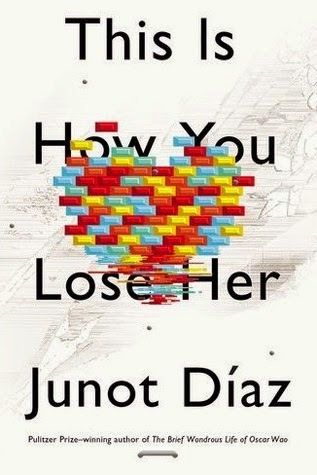 This Is How You Loser Her is about this guy called Yuann who's kind of a player, the women he ends up losing and how he loses them. I laughed a lot at Yuann, I must admit, not so much with him. Then I got sad when I saw him get sad due the consequences of his stupidity. There were numerous times I got mad at him due to his attitude towards women and how he treated them, too. As someone who described and believes in love in Gabriel Garcia Marquez terms, it feels weird to me that most women prefer to read love stories written by other women. Of course, they're fun, and it's probably true that women understand women better than man, but then I haven't really seen anyone who's in search for men who write about love and relationships. I think it's rather refreshing to get a man's take on it, and this book is worth reading even if to help protect yourself from men like Yuann. I was so excited the other day when my page views hit 100,000 I can't even begin to describe how excited I was. So I wanted to take this time to thank everyone who has ever stopped by my blog. If I hit 500 followers I will run a contest of some kind with goodies to win. I have been sitting here thinking back to all the great authors I have met over time the list would be huge if I listed them all. I have worked with some fabulous people who are so nice when it comes to interacting with them. To think this all started because I read. I didn't think it would turn into what it has turned into. Not long ago was this blogs anniversary I was so busy I totally missed it. This blog turned 5 at the end of October. I can't believe I have been blogging for 5 years. Back then I mainly worked with Pump Up Your Book Promotions & FSB Media. Now I work with Great Escapes Book Tours and Cedar Fort. I also work with tons of authors I never dreamed I would work with. Like Duffy Brown, the author of Iced Chiffon and her newest book coming out Geared for The Grave. Also I work with lots of great Independent Authors trying to get their books out there like Emerald Barnes and her book Entertaining Angels, Read Me Dead, I get in awe when I think of how great these authors have been. Really down to earth people like me. I always assumed that authors are too busy or there was no way you can just talk to them. Boy has that changed. I think most of that was fear of not knowing. So thank you to everyone who has made this site flourish and thank you to my partner in crime Simay who has offered us great reviews. It's been fabulous 5 years with many more to come. Also thank you to those who follow you can't wait to see what the future holds for us! !